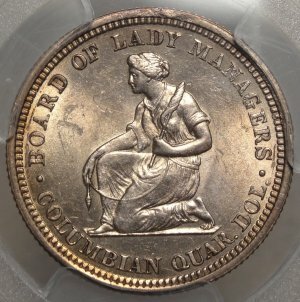 1893 Isabella Commemorative quarter dollar AU58 (PCGS 27774343). . .Original and problem free coin ready for your set! 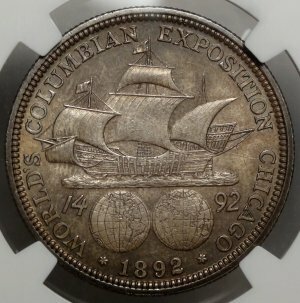 1892 Columbian Expo Commemorative Half Dollar MS64 (NGC 1736569-002). . .Original and problem free coin ready for your set! 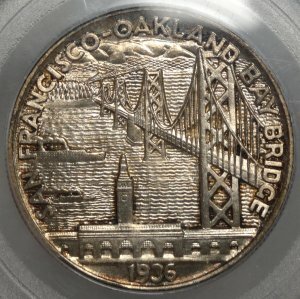 1936 Bay Bridge Commemorative Half Dollar MS65 (PCGS 2518738)...An old original Gem example, lightly toned, in an older light green label holder. 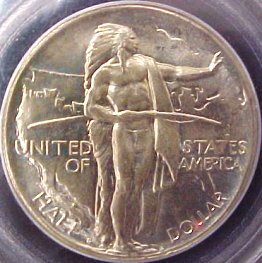 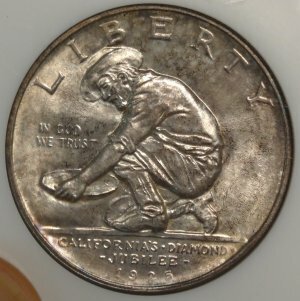 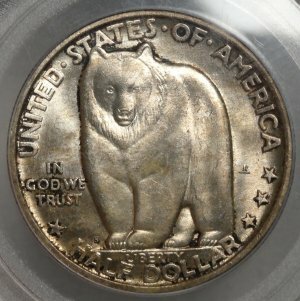 1925-S California Jubilee Commemorative Half Dollar MS65 (NGC/CAC 123028-002). . .An oldtime Gem coin with bright luster under light original color, in an old NGC "fatty". 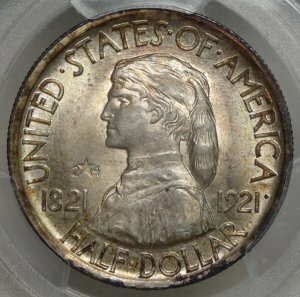 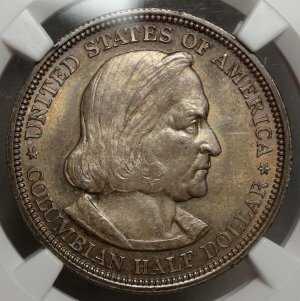 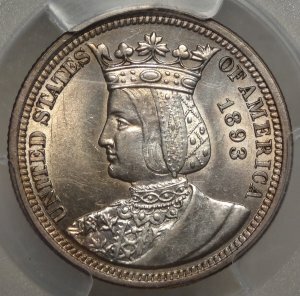 The CAC sticker mearly confirms what the eye readily sees ... this is a nice coin. 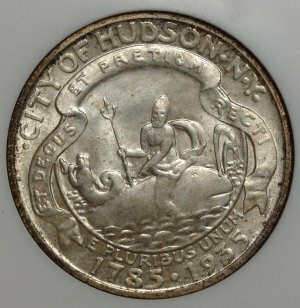 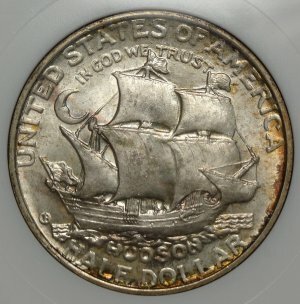 1935 Hudson Commemorative Half Dollar MS65 (NGC/CAC 202259-011). . .An oldtime Gem coin with bright luster under light original color, in an old NGC "fatty". 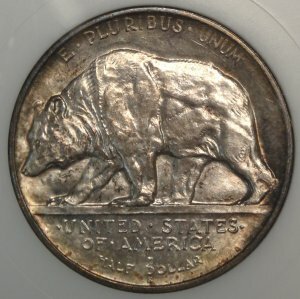 The CAC sticker mearly confirms the quality of this tougher issue. 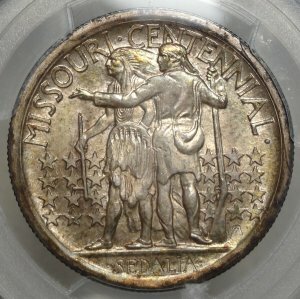 1921 2x4 Missouri Commemorative Half Dollar MS64+ (PCGS 31465734) A slightly "crusty" original near Gem example of this popular variety. 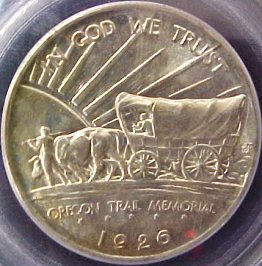 1926 Oregon Trail Commemorative Half Dollar MS66 (PCGS 29726662)...A stunning bright Superb Gem example of this popular Northwest design. 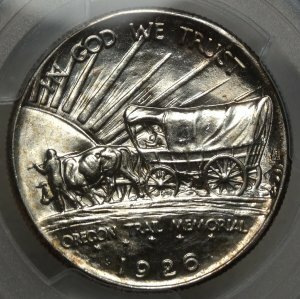 1926-S Oregon Trail Commemorative half dollar MS65 (PCGS)...A gem! 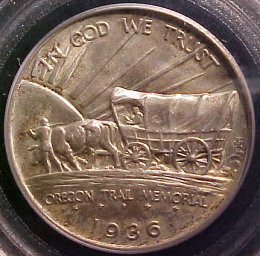 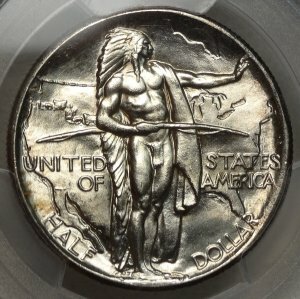 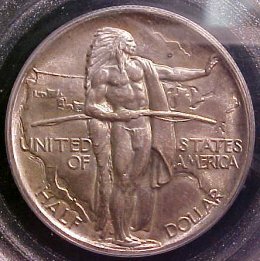 1936 Oregon Trail Commemorative half dollar MS65 (PCGS)...A gem! 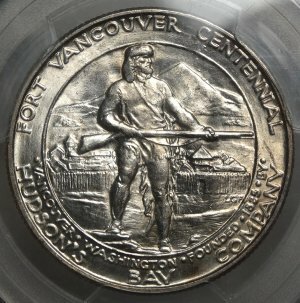 1925 Vancouver Centennial Commemorative Half Dollar MS64 (PCGS 32511506). . .A popular Northwest oriented Commem, struck at San Francisco without a Mintmark. 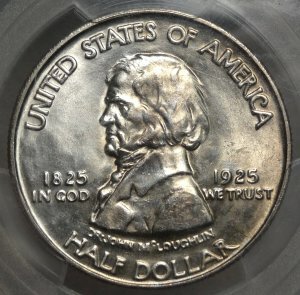 Nice lustrous surfaces for an issue that commonly comes dull due to abuse from the public.